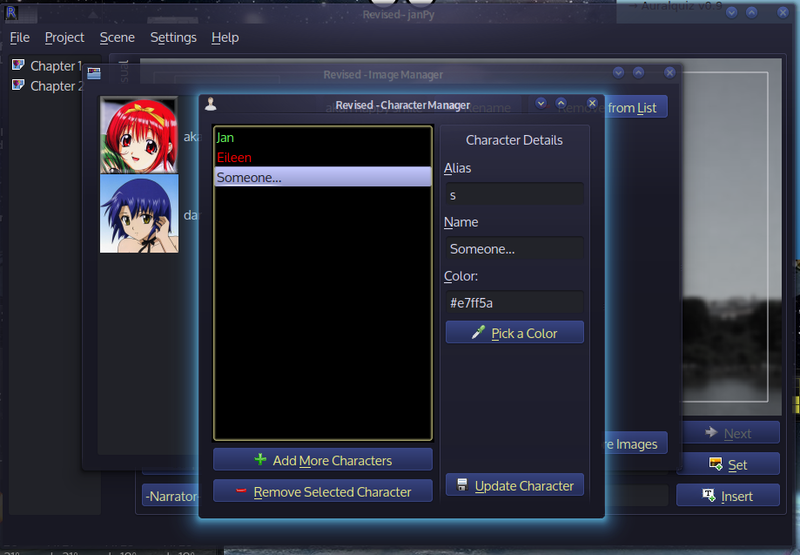 A week ago I blogged about a new project, Revised, which will eventually be a simple visual editor for a visual novel game engine called Ren’Py. 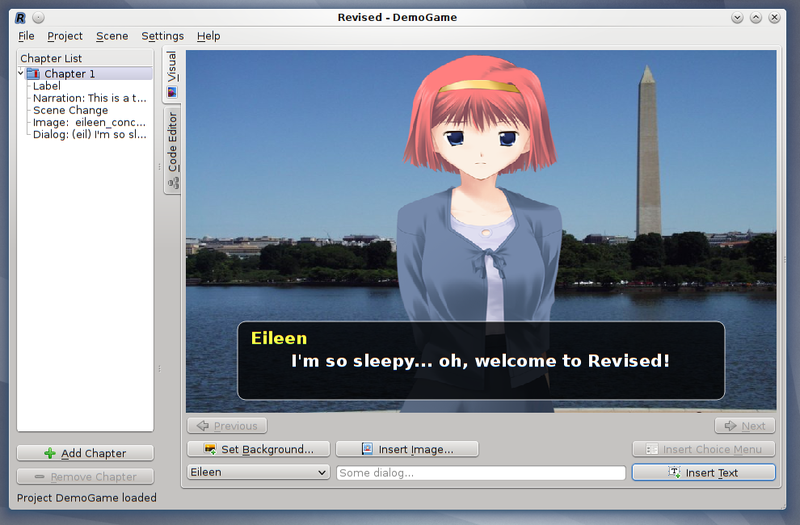 Revised v0.1 featuring Eileen, from Ren’Py! The project is going well, so I’ve released a 0.1 version as a preview. Download the source code from Qt-Apps.org: http://qt-apps.org/content/show.php/Revised?content=152369 (sorry, I can’t provide binary packages for any distributions at this time, check the INSTALL file for compiling instructions). Create new projects, load them, and save them. Keep track of chapters and their “steps” in the chapter list. Manage character definitions to use in the game. Design scenes with 3 basic things: Set a background image, add other images, like characters or props and add dialog lines. 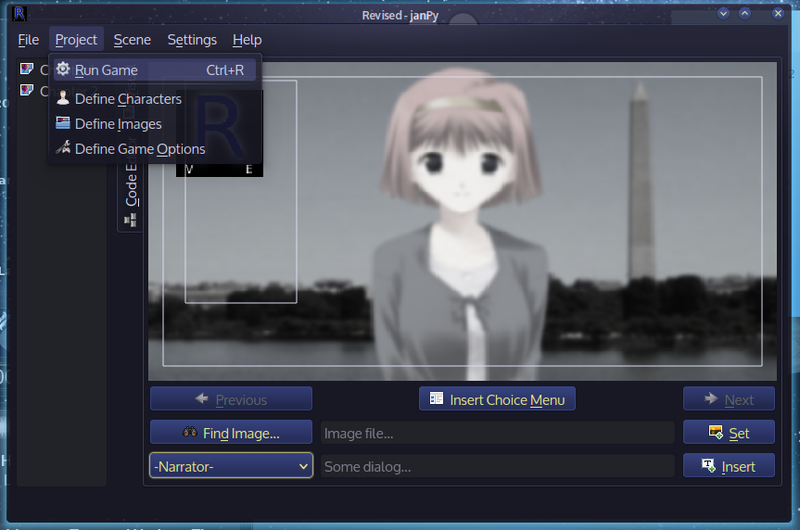 After some basic stuff has been added to the game, you can save it and run it in Ren’Py, straight from Revised’s menus. This is Lucy, from Ren’Py, and she’s mad! I hope you like it, and if you ever thought about creating novel-type games with Ren’Py, but found that writing scripts was confusing or tiring, maybe this program can help you. The goal is that you’ll need no programming experience to make your simple game. You can check out the main Revised page on this blog for more information, and the Revised category to see all the posts about it. Time for a new project! 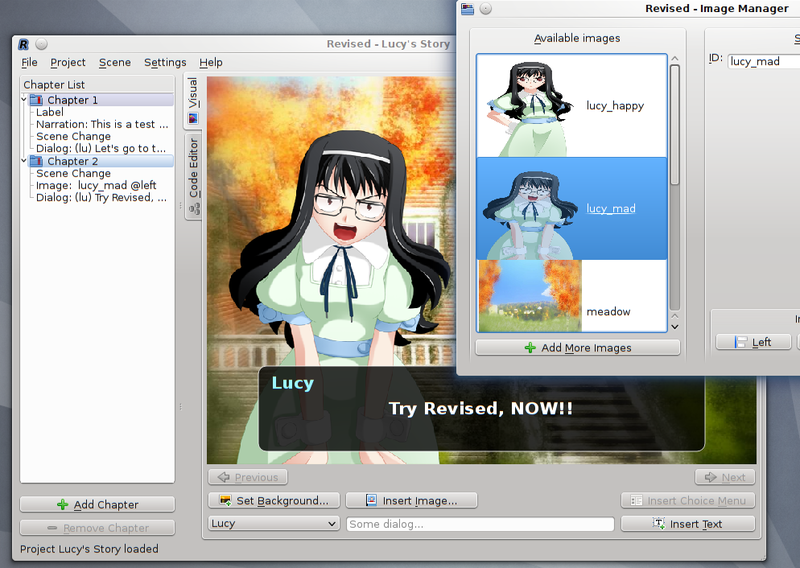 This time it will be a simple visual editor, or GUI, for Ren’Py, the visual novel game engine. As usual, it’s based on Qt and targeted mainly at GNU/linux systems. You are currently browsing the archives for the Revised category.